Sometimes called Rhombic Flange Units, these are available in cast iron, stainless steel, alloy and pressed steel. 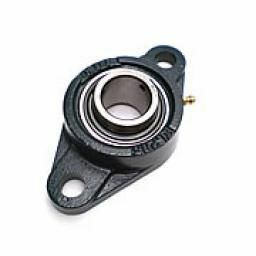 Self-lube Bearings are generally self-aligning and sealed; available with or without housings. Self-lube Bearings are also available in stainless steel and with camlock (eccentric collar) or sleeve.